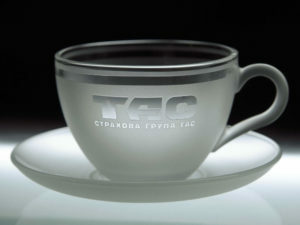 The TAS insurance group (Kyiv) in February 2019 collected UAH 125.59 million in insurance premiums, which is 59.3% more than a year ago. According to a posting on the website of the company, 31.88%or UAH 40.04 million of premiums were collected with signing of compulsory insurance of vehicle owners’ civil liability (OSAGO) policies, which is 47.9% more than in February 2018. The amount of Green Card policies sold grew by 68.7%, to UAH 35.8 million, or 28.51 of total premiums. The share of voluntary car insurance (KASKO) was 17%: policies for UAH 21.35 million were signed, which is 51% more than a year ago. 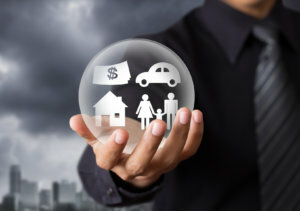 The group collected UAH 12 million under property insurance policies, which is 9.55% of total premiums collected in February and three times more than a year ago. TAS collected UAH 2.55 million under voluntary medical insurance contracts and UAH 13.85 million under other insurance contracts. 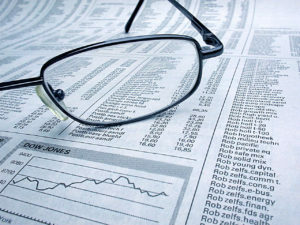 In February 2019, the group paid UAH 56.12 million in claims, which is 42.5% more than a year ago. The acquisition of Guardian insurance company (Kyiv) by new shareholder, who is citizen of Lithuania, Arunas Siksta was started on March 12, 2019, the insurer has said in a press release. According to the report, Siksta is a senior manager with thirty years of experience in banking, insurance and telecommunications. In particular, he collaborated with AB Swedbank, which representative office he headed in Lithuania, as well as with Norway’s largest insurance company, Gjensidige, where he served as deputy board chairman. In addition, for several years he was engaged in the integrated construction of a financial infrastructure for European banks, including the creation of insurance companies from scratch. According to the press release, the new shareholder was satisfied with the results of the financial and personnel audit of Guardian insurance company. “My auditors provided enough information that I found to be perfectly satisfactory. According to the results of the financial statements, the company’s performance is at a proper financially stable level, and the staff is highly qualified, which is what the figures say. Based on this, I see no need to reform the company or make any rotations. All management, employees and branches will work in the same mode and composition. Our plans are only to expand and improve the quality of services for our clients,” the company said in the press release, citing Siksta. The press service also said that during the visit of the new shareholder of Guardian to Ukraine, he met with Head of the National Commission for Financial Service Markets Regulation of Ukraine Ihor Pashko and President of the League of Insurance Organizations of Ukraine Oleksandr Filoniuk. At the meeting, Siksta expressed confidence that the Guardian insurance company would be a worthy example of effective investments in the Ukrainian insurance market, and by providing services at a new level of quality it would increase customer confidence in this sector. “Today, Lithuanian investments in the Ukrainian market are coming more and more often, but not in such volumes and not in the insurance sector. You are the first and we are very pleased with such serious investors,” Pashko said. Guardian has been working in the insurance market since 2007. 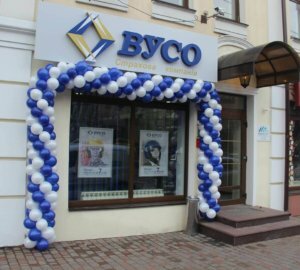 Kyiv-based TAS Insurance Group opened 35 new branches in Khmelnytsky, Lviv, Zakarpattia, Vinnytsia, Poltava, Sumy, Rivne regions, as well as in other regions of Ukraine in 2018, according to the company’s website. The company also informs that new sales centers opened not only in those small towns where they did not previously have their offices, but also in cities where several of its branches already worked. For example, last year new representative offices of the company began work in the cities of Vinnytsia, Dnipro, Kharkiv, Rivne, Sumy and others. As reported, more than 1.9 million insurance contracts were concluded by the insurer with more than 1 million customers in 2018. The company’s insurance revenue for 2018 exceeded UAH 1.387 billion. In this case, car insurance accounted for the lion’s share of collected premiums. In particular, UAH 481.15 million in premiums was raised under OSAGO (mandatory insurance of civil liability of vehicle owners) agreements, UAH 273.01 million under Green Card agreements, and UAH 255.03 million under KASKO (voluntary car insurance) agreements. VUSO insurance company (Kyiv) collected UAH 495.662 million of insurance premiums for January-September 2018, which is 40.13% more compared to the same period in 2017, the insurer said in a press release. According to its data, the main gain compared with the same period last year was provided by voluntary medical insurance, auto insurance (KASKO and OSAGO), bank insurance for a total of UAH 358.71 million. 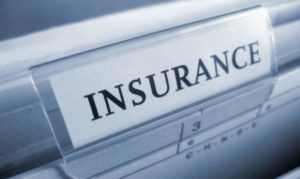 The most significant increase in premiums was recorded at the expense of KASKO program sales: for the nine months car owners purchased voluntary auto insurance contracts in the amount of UAH 129.456 million, which is 57.9% more than last year’s fees, OSAGO for UAH 107.631 million (21.84% more). In addition, the company noted an increasing consumer interest in other types of insurance. In particular, the growth in voluntary medical insurance amounted to 34.07%, while those traveling abroad by 17%. At the same time, a significant share in the growth of sales for this type of insurance was that of online sales. The online insurance channel increased sales by 2.5 times. The company also reports that during this period it paid customers UAH 143.641 million, which is 24.2% more than in the same period a year earlier. VUSO insurance company has been working in the Ukrainian market since 2001. It owns 24 licenses: 16 for voluntary, and eight for compulsory insurance. Providna Insurance Company (Kyiv) for the first nine months of 2018 reduced collection of insurance premiums by 5.8% compared to the same period in 2017, to UAH 616.6 million. According to the insurer’s website, for the specified period payments to customers amounted to UAH 362.2 million. More than half of all collected premiums fell on voluntary medical insurance contracts, which amounted to UAH 342.6 million. Insurance payments under voluntary medical insurance agreements for the nine months amounted to UAH 181.1 million. More than 146,400 insurance cases were settled. To further improve the quality of customer service, the company opens up new medical assistance sites in the regions, continuing the implementation of the strategy to increase its presence in the Ukrainian market of voluntary medical insurance. 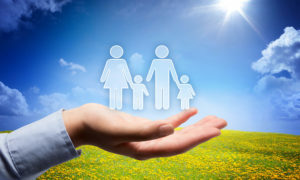 Providna Insurance Company has been working in the insurance market of Ukraine since 1995. It offers more than 80 insurance products on compulsory and voluntary types of insurance to individuals and legal entities.